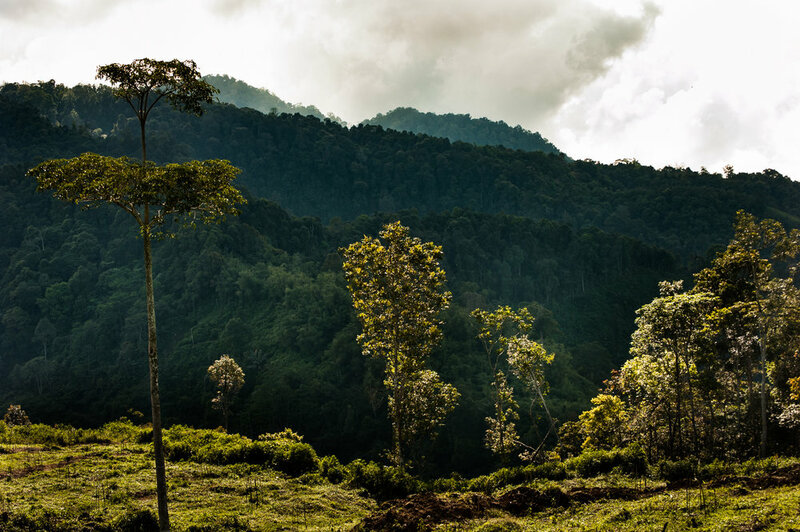 The email came out of the blue one afternoon – an announcement for an upcoming PWB trip to Sumatra, with the opportunity to witness the palm oil problem firsthand, and trek into the Leuser ecosystem to see the critically endangered orangutan. All the while learning how to document my experience through photography. I’d spent the last year researching about palm oil harvesting and the devastation that accompanies it. I followed the work of photographers in the region, made responsible food choices, and educated others every chance I could. But I knew nothing could be quite as powerful as seeing the impact with my own two eyes. I don’t believe in coincidences; so for me, that email was a sign that I was meant to go to Sumatra. Besides being an amateur photographer, I work as a freelance writer and editor. I spend my days crafting and tweaking content for my clients – and I’m careful to ensure that each of them share my values of social responsibility and conservation. While it sometimes means that I have to turn down lucrative projects, it’s a small sacrifice for being able to fully stand behind the work I do. I knew that the people I would meet during the PWB workshop would share those values, too. As I boarded the first of three flights that would take me to Medan, I wasn’t sure what to expect. Would I be the most inexperienced photographer there? Would my equipment be good enough? And the main question floating around in my head: would it all be worth it? At the very least, I hoped to emerge from the trip a better photographer than when I arrived – though that wouldn’t take much! I’ll be clear about one thing: the trip certainly wasn’t a vacation. The busy two weeks were full of emotional highs and lows – from witnessing the sad realities of elephant tourism to the thrill of spotting our first orangutan; the heartbreaking scenes at the Medan Zoo to the amazing work that our host organization, Orangutan Information Centre, is doing to restore the forest at a former illegal palm plantation. Of course, there were humourous moments, as well. On one particularly noteworthy occasion, our trekking group stopped briefly for some fruit. The spread wasn’t laid out for a minute when Oati, an orangutan we’d seen about 15 minutes earlier, came clambering through the trees – headed straight for our snack. Though we did our best to put everything away, we clearly underestimated the speed of a determined orangutan. She swiped some melon and a couple bananas before returning to the trees. Funny as it was, it also served as a reminder that these primates are only semi-wild, sadly accustomed to being fed by uninformed tourists and their tip-seeking guides. Woven in through all of these experiences was a series of lessons and assignments that allowed me to rediscover my love for photography and understand how to use my camera as a tool for social change. It turned out that I was one of the most inexperienced members of the group – and I couldn’t be happier about that. I had 13 days of unencumbered access to passionate photographers who were more than willing to share their knowledge. From lighting and portraiture to ‘making’ photos and post-processing, there was always something new to learn. On our last evening our master photographer, Brian Hodges, paid me an incredible compliment. “I love your willingness to learn,” he said. “You can learn faster than I can teach.” It was reinforcement that I had truly made the most out of the workshop. During my 4 a.m. drive back to the airport I reflected on the experience, amused at how unwarranted my initial worries were. Not only was I leaving Sumatra a better photographer than when I arrived, I was leaving a better human being. More compassionate, more aware, and more determined than ever to do my part – however small it may be – to create positive change. To those who are considering a PWB workshop, I say this: if you’re feeling pulled toward it, make the leap. Approach the experience with an open mind and be willing to challenge yourself. It may not be easy, but the things that most help us grow rarely are. The next PWB School will be taking its participants on a journey this August as we work hand in hand with a local community in Mongolia. Click here for more information and register today!